Take a look at these advertisement! 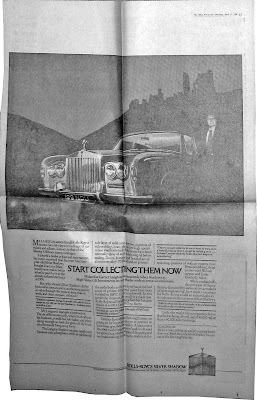 Full page Rolls-Royce Silver Shadow advertisements in The Daily Telegraph. Tuesday 15 April 1980. 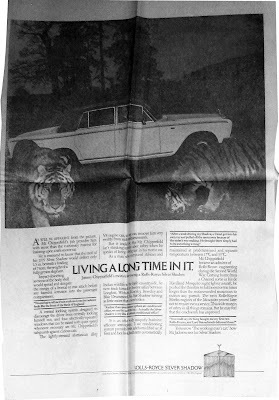 "Living A Long Time In It"
Wednesday 16 April 1980. 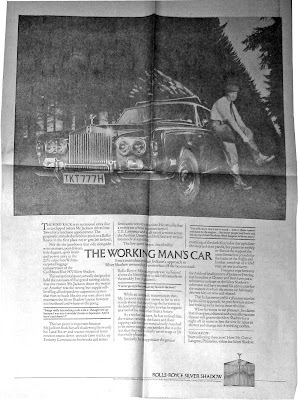 "The Working Man's Car"
Thursday 17 April 1980. "Start Collecting Them Now"
Friday 18 April 1980. 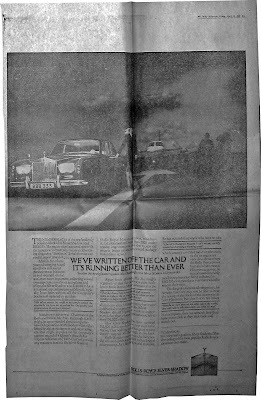 "We're Written Off The Car And It's Running Better Than Ever"
From the famous scrap books of David Irvine. They are a little hard to read but worth it!